Let the countdown 'til Christmas continue with DAY 18! The holiday season is a time for singing songs. Cowabunga caroling? Seasonal sewer songs? Merry mutant music? One of those should be a thing. Well, that's what the Singing Michelangelo Ornament is attempting. Not only does this cartoony decoration hang from your tree, but he plays tunes! Unfortunately, the party dude left his holiday cheer down in the sewer. 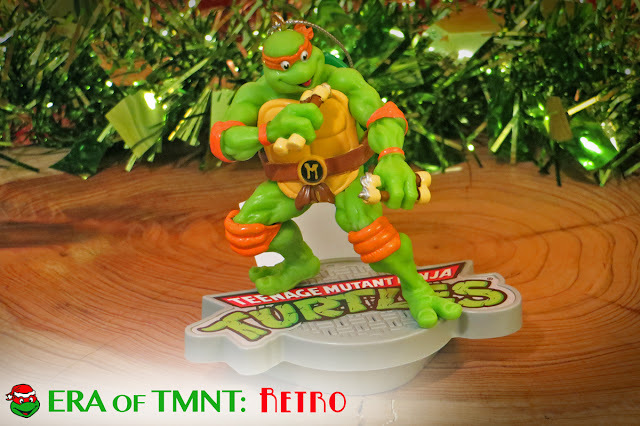 The Singing Michelangelo Ornament is a retro creation with the likeness of the 80s cartoon series, but released in 2014. The design is run-of-the-mill, nothing particularly special despite carrying a higher price tag than similar-looking ornaments. But, the real gimmick for this guy is his singing voice. Press a button by the base, and it sings like canary. I was hoping for a holiday song since, you know, this is a Christmas ornament. But instead, my eardrums were invaded by a sad, low-fi rendition of the 80s TMNT theme song. The recording is painfully bad. Thankfully, it only lasts for a verse. As a guy with an abysmal singing voice, it's comforting when someone is worse than you. So, thank you Singing Michelangelo Ornament. I sound like a karaoke god compared to your sad singing. 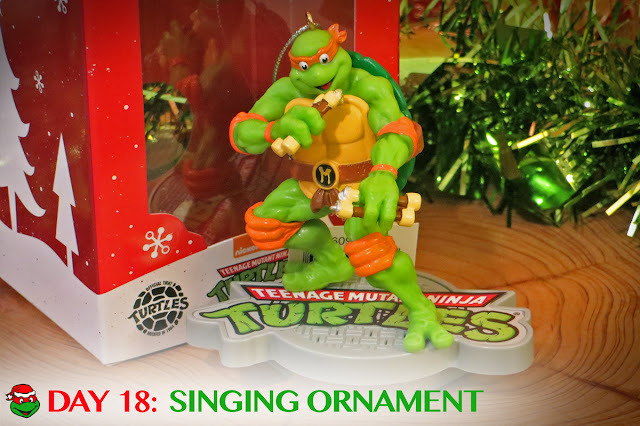 If anyone hears my cringe-worthy attempts this holiday season, blame the Singing Michelangelo Ornament. It's given me the courage to fearlessly belt out Christmas tunes. 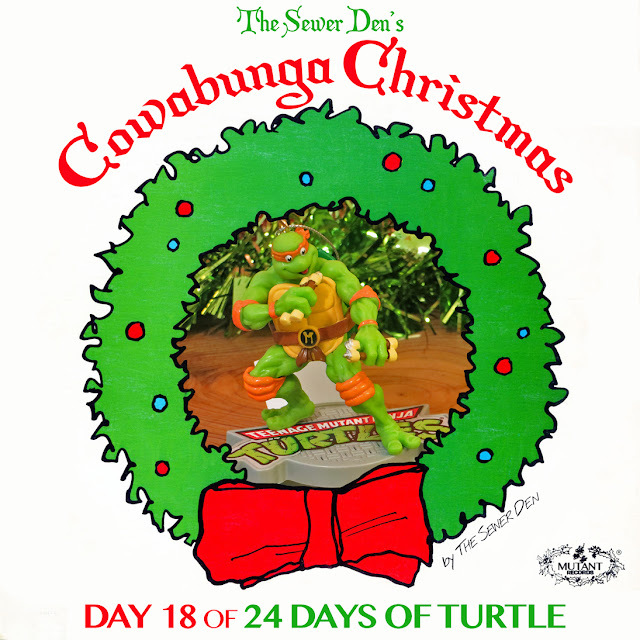 Check back tomorrow for DAY 19 of Cowabunga Christmas! Can't wait until then? Take a trip with the Ghost from Christmas Past to see what The Sewer Den put on display on December 18th in 2013 and 2014.